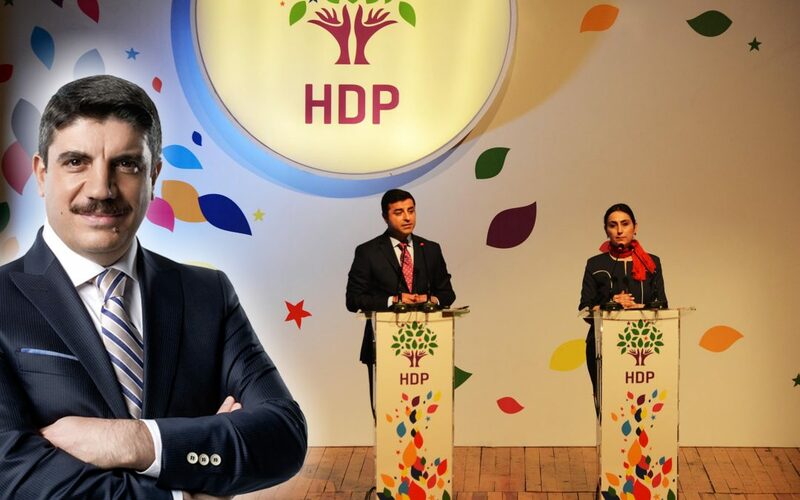 Justice and Development Party (AKP) deputy chairman and spokesperson Yasin Aktay has said the Turkish nation finds some comfort in the arrest of more than a dozen deputies from the pro-Kurdish Peoples’ Democratic Party (HDP) in the wake of deadly terror attacks in the country. This month, Turkey was shaken by two attacks in İstanbul and Kayseri that claimed the lives of around 60 people and injured dozens of others. Both attacks were claimed by the Kurdistan Freedom Hawks (TAK), an offshoot of the terrorist Kurdistan Workers’ Party (PKK). Speaking to Rudaw TV, a Kurdish news TV channel based in Arbil, Aktay said tens of people are killed every day in suicide attacks in Turkey, but there has been no public outrage thanks to the arrest of the HDP deputies. Turkey arrested 12 HDP deputies including the party’s co-chairs in November and early December. They were arrested on the grounds that they refused to testify to court as part of a probe against the PKK. “If there is no public outrage or rebellion in the wake of the [terror] attacks, if there are no divisions in the society, this is mostly because of the measures we took, I mean the arrest of those [HDP] deputies. There is a strong perception in society about those deputies supporting terrorism but their arrest serves as a consolation. Thanks to this consolation, the nation is not outraged,” said Aktay. The HDP strongly condemned both attacks, saying that the only way to get out of the vortex of terror is to unite against violence and stand up for peace, democracy, justice and freedoms. Following the İstanbul attack, hundreds of HDP officials were detained on terrorism charges, while the incident in Kayseri sparked attacks on HDP headquarters in the province.